For all your Lottery & bingo needs! 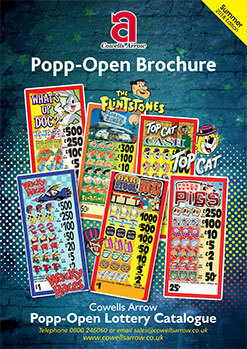 Cowells Arrow has manufactured Popp-Opens® lottery tickets for many years, constantly refining and improving the product. 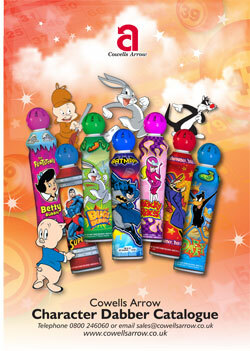 Joining forces with Arrow International, the world's largest producer of bingo related products, in the 1990s gave Cowells access to a huge wealth of expertise and talent in all areas of bingo and lottery ticket development and manufacturing. With the combined experience of all Arrow staff across the globe, Ipswich based Cowells Arrow has become a leader in the UK market through innovation and the application of technology. In addition to our thriving popp-opens lottery ticket and bingo ticket business, we supply the majority of link circuits throughout the UK and Ireland, including the National Game. 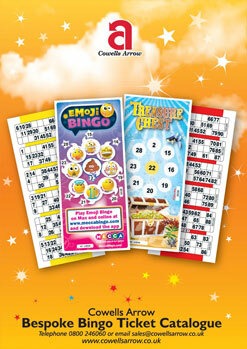 Cowells Arrow print using the latest digital printing equipment and technology, and we are the only bingo ticket producer in the UK with two in-line printers that enable duplex (printing on both sides of the tickets) printing.